A Cycler's Beginning: April's Interview Mama Say What?! | Mama Say What?! I just had to ask April, our own super-busy, working, single mama how she had time to fit fitness into her life. She is an inspiration to me and I’m sure you will find her journey quite inspiring as well! 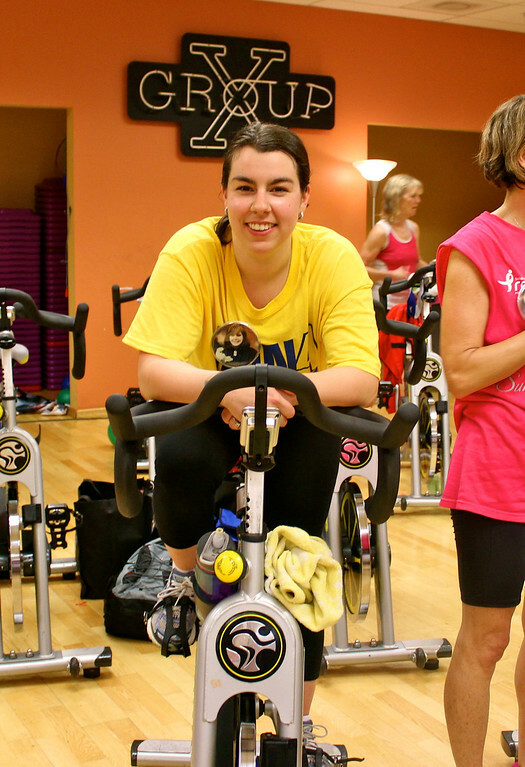 You are a true inspiration to many mamas— you are in the process of becoming a cycler! When did you start? 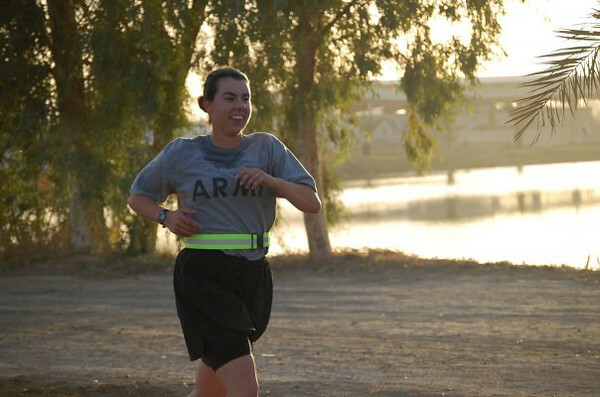 I had always been an avid runner; between cross country in college and ten years in the military, running was part of my routine. I lived for my next run. Sadly, I had knee surgery in October, 2012 and was told if I didn’t want a full knee replacement before the age of 50, it would be wise to hang up my running shoes. After recouping from the surgery for a while, I starting cycling in February 2013. What motivated you to start training as a cycler? But I was devastated when I was told it would be wise to stop running. After a few months of physical therapy from surgery, I noticed a few of the pounds I had worked so hard to lose were creeping back. I had tried swimming, but never really felt that same “high.” A co-worker invited me to join her in a spin class, and since I couldn’t run, I figured I would give it a try. It was the first “workout high” I’d had since surgery. I came out of the class saturated in sweat and feeling like a million bucks. I was instantly in love! You are an incredibly busy single mama, how do you find the time? Finding the time to work out is most certainly difficult. My son’s daycare opens at 7 a.m. and closes at 5:30 p.m… I work 7:30 a.m. to 4:30 p.m., so there is no opportunity to go in the morning or after work since I have Little Man during the week. Thankfully, I have a great working environment that allows me to go to they gym over my lunch hour, and luckily every Tuesday and Thursday they do spin classes at noon. I usually average three workouts a week, the third being on Saturday when Little Man is with his father. Do you have any advice for mamas thinking about starting to train for a race? The best advice I have to give is just get out there. Pop in your headphones and go. I’ve been doing spin classes for close to three months now at the gym. Now that the warm weather is finally here in New England, I took my mountain bike out for the first time last weekend— vastly different! I made it about 30 minutes before I wanted to die, BUT I got out there! Start small and be proud of the fact that you are doing something positive. Do you follow a specific training program or do your own thing? I do attend the two spinning classes a week. The group atmosphere is uplifting, along with the motivation it brings. Not sure I would push myself hard enough for the same quality workout on my own on a bike. For my third workout, I do try to get in a slow two mile run. I was running 20 miles a week, I figured going from 20 to two would be acceptable to my orthopedic surgeon. If I can do it, great, if not, I have to listen to my body. I may have pushed a little too hard last week and made it less than a quarter of a mile when my knee got mad and said, “HEY, remember me, I’m kind of hurt, lay off!” So I stopped my run and did six miles on a stationary bike. Do you participate in any other fitness activities? What has been your most rewarding experience as you have turned to fitness? The most rewarding experience… that’s easy— My self esteem is through the roof now! A good friend of mine finally took me shopping last week so I could overhaul my wardrobe. 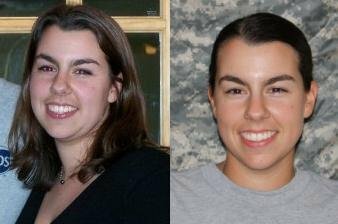 I had lost 25 lbs, but was still wearing the same clothes. Ha, honestly, I looked frumpy! I wore one of my new dresses yesterday and every single person I saw at the office commented on how great I looked. Even if I haven’t gained a pound, if I don’t work out for a week, I look in the mirror and just feel “fat.” Getting in one workout turns the “fat” girl in the mirror into an amazingly awesome, confident, happy, attractive woman. It makes me feel good. And as a single mama, I will take all the feel-good moments I can! Thanks for sharing your story, we will be rooting for you as you cross your next finish line! 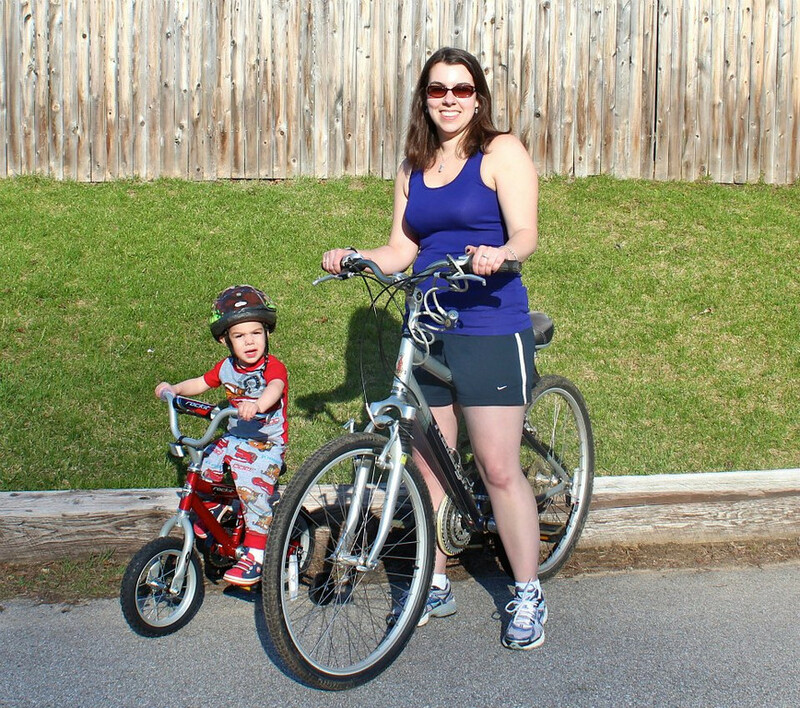 Check out some other mamas and their fitness journeys: Genae’s Journey, Kelly’s Journey. And stay tuned for more! Added by Corey P. on May 21, 2013. Pingback: Fitting in Fitness: Kelly's Interview Mama Say What?! | Mama Say What?! Pingback: Beginning a Running Journey: Genae's Interview Mama Say What?! | Mama Say What?! April is an inspiration to any momma! Keep it up girl!